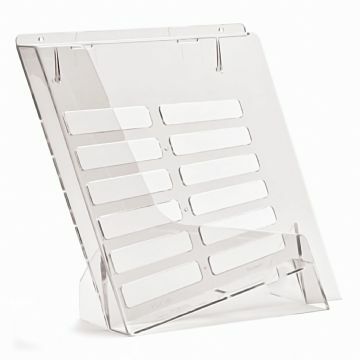 TS110 - 1 Pocket DL (1/3 A4) Portrait Leaflet Holder - 'Tilt Slant'. 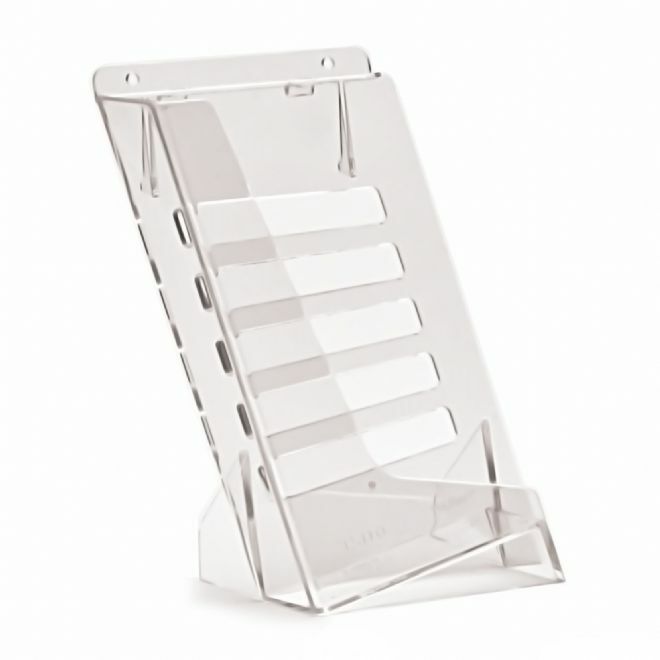 This single pocket 1/3 A4 / DL leaflet holder is suitable for counter top use or wall mounting. It also has integral slatwall fixings. 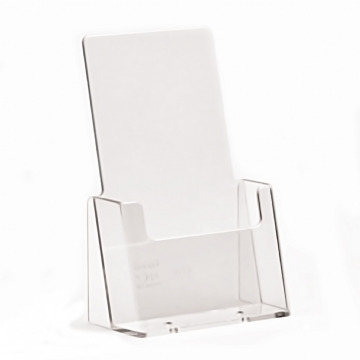 Tilt Slant leaflet holders have an open edge which means oversized literature can also be accommodated. Suitable for oversided DL leaflets.